Product prices and availability are accurate as of 2019-04-17 21:33:35 EDT and are subject to change. Any price and availability information displayed on http://www.amazon.com/ at the time of purchase will apply to the purchase of this product. 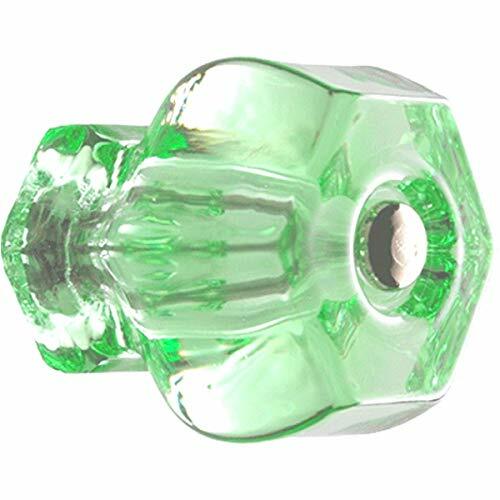 These vintage glass knobs are wonderful replicas of knobs used on Hoosier type cabinets and furniture of that period. 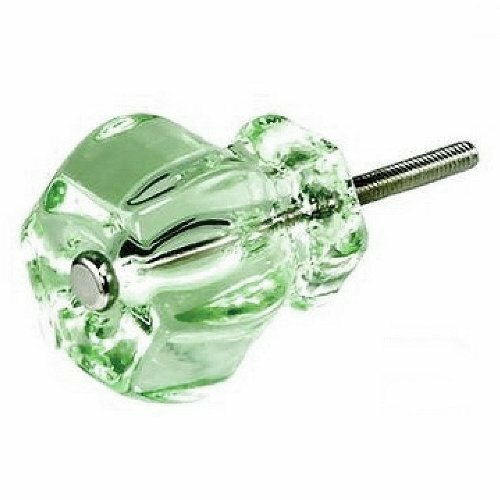 Great for upgrading Furniture or Kitchen Cabinets, Dresser Drawers and Cupboard Doors. Actual colors may vary from on-screen and printer representations. Warrantee: We will replace damaged items within 30 days. Buyer will need to pay postage and handling fee if non-damaged items are returned within 30 days from date of purchase. Email us via Amazon so that we can quickly help resolve issues that you may have. 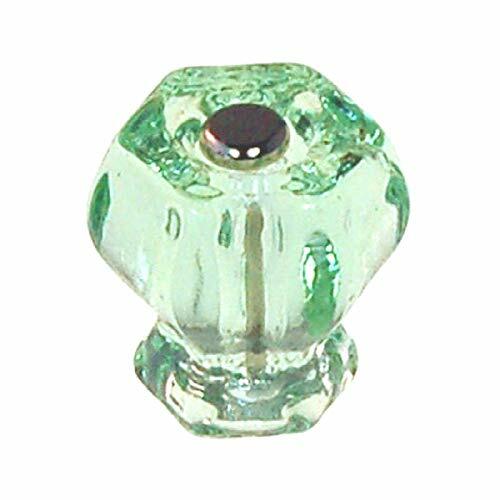 Crystal Clear Glass Made of Recycled Silica Glass Materials Quality Nickel Hardware Knob Diameter: 1.25 in. Projection: 1.25 in. 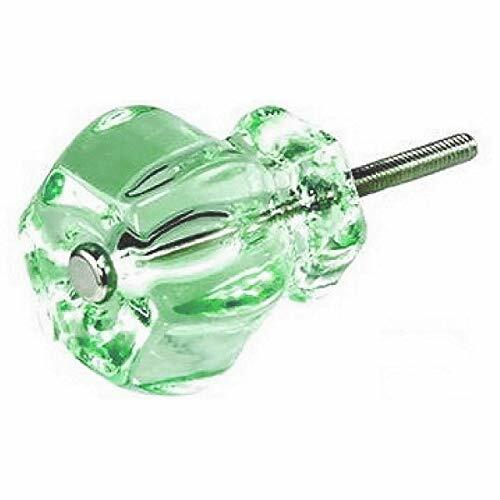 Screw: Will fit cabinet thickness of up to 1.5 in. Please measure carefully. We can supply shorter screws if needed. Note: screw inserts into front of knob.